ATC Coin, (symbol ATCC) was distributed on 25th Jun, 2017 and runs without requiring any monetary authorities. 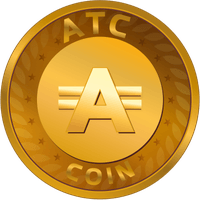 It is not a mineable crypto-currency, so in order to obtain ATCC, you can purchase them from an exchange. It uses the proof of stake (pos) consensus and the Scrypt algorithm. To keep up to date with the latest news from ATC Coin, you can find them on Twitter and Facebook. We don't have any exchanges listed for ATC Coin yet, check back soon! We don't have any wallets listed for ATC Coin yet, check back soon! We don't have any debit cards listed for ATC Coin (ATCC) yet, check back soon! We don't have any price charts listed for ATC Coin yet, check back soon!